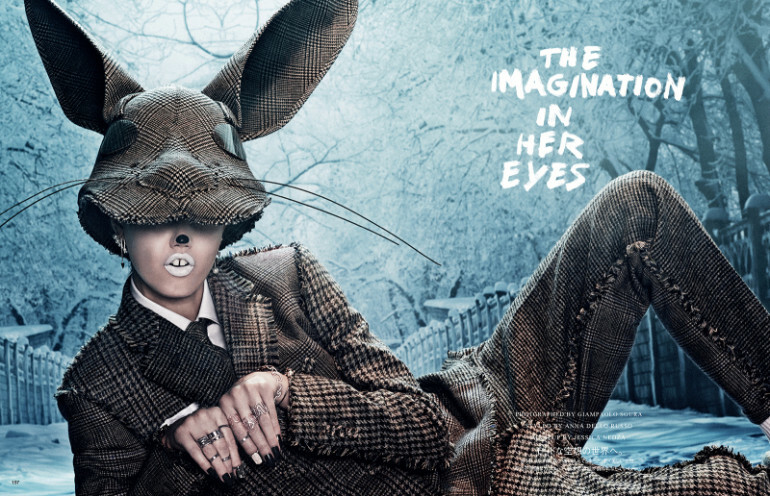 Photographer: Giampaolo Sgura. Model(s): Lindsey Wixson. Source: Vogue Japan Beauty. Stylist: Anna Dello Russo. Makeup: Jessica Nedza. Hair: Andrew Guida. 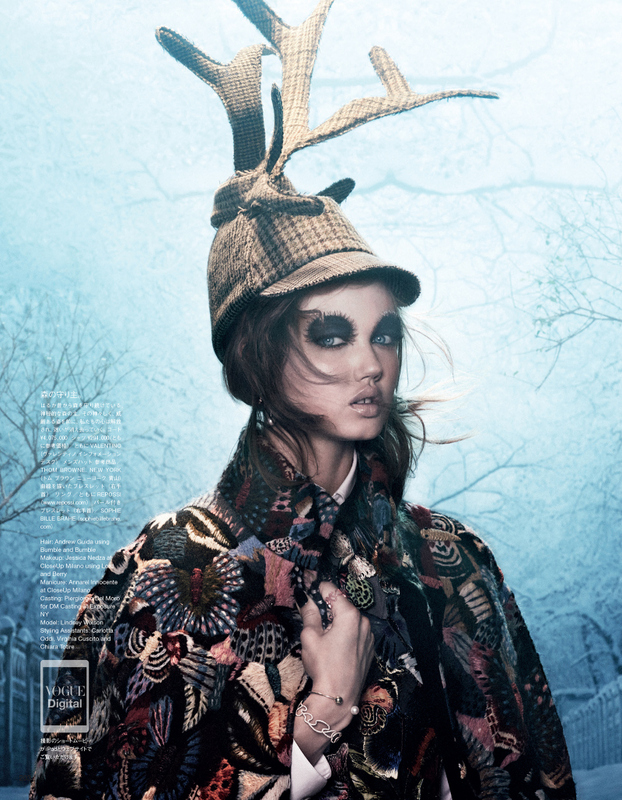 Lindsey Wixson stars in ‘The Imagination In Her Eyes’ by Giampaolo Sgura for Vogue Japan, September 2014. A dream inside a dream, Lindsey loses herself in a wonderland of magic. A modern day version of a fashion fairy-tale, she plays the part, in a role unlike we’ve ever seen. The art of avant-garde explodes as (Stylist) Anna Della Russo brings forth the essence of the imagination. Clothing created to appear like costumes in a feature book, each picture takes us further into the fantasy. From embellished appliqué to multi-dimensional floral arrangements, the exquisite design gives each piece an element of enchantment. Jessica Nedza embraces the feel of modern makeup with exotic beauty that blends into the background. With eyes sewn right in, drama erupts with a decadent divide of color and craft. A picture tells a thousand words, as this epic editorial allows us to imagine the story told from every angle. The haute-couture of the head-gear plays on, as (Hairstylist) Andrew Guida lets each hat tell a different tale. Wixson takes us from Little Red Riding Hood to the Wolf itself, as she embraces the role of – Thespian of the Modeling World.